A University of Florida scientist has grown a living 'brain' that can fly a simulated plane, giving scientists a novel way to observe how brain cells function as a network. The 'brain' -- a collection of 25,000 living neurons, or nerve cells, taken from a rat's brain and cultured inside a glass dish -- gives scientists a unique real-time window into the brain at the cellular level. By watching the brain cells interact, scientists hope to understand what causes neural disorders such as epilepsy and to determine noninvasive ways to intervene. "We're interested in studying how brains compute," said Thomas DeMarse, the UF professor of biomedical engineering who designed the study. "If we can extract the rules of how these neural networks are doing computations like pattern recognition, we can apply that to create novel computing systems," he said. DeMarse experimental 'brain' interacts with an F-22 fighter jet flight simulator through a specially designed plate called a multi-electrode array and a common desktop computer. "There’s a lot of data out there that will tell you that the computation that's going on here isn’t based on just one neuron. 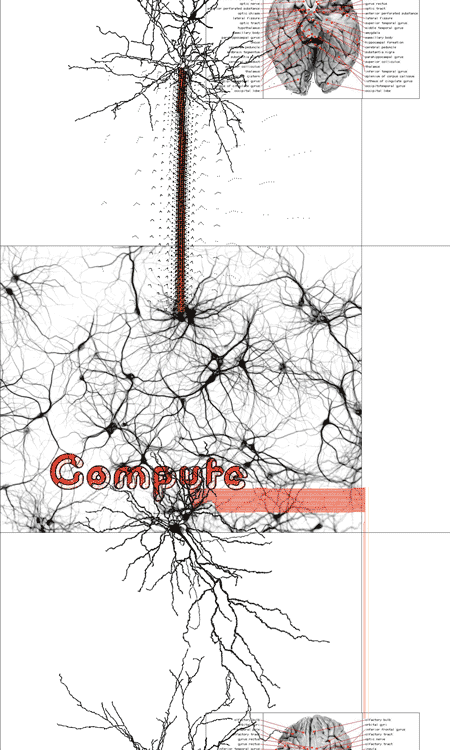 The computational property is actually an emergent property of hundreds or thousands of neurons cooperating to produce the amazing processing power of the brain." With Jose Principe, a UF distinguished professor of electrical engineering and director of UF's Computational NeuroEngineering Laboratory, DeMarse has a $500,000 National Science Foundation grant to create a mathematical model that reproduces how the neurons compute. These living neural networks are being used to pursue a variety of engineering and neurobiology research goals, said Steven Potter, an assistant professor in the Georgia Tech/Emory Department of Biomedical Engineering who uses cultured brain cells to study learning and memory. DeMarse was a postdoctoral researcher in Potter's laboratory at Georgia Tech before he arrived at UF.